Let's leave the gorgeous evening dresses and original inventive outfit you may think of for Christmas and New Year and pass on to hairstyles. Hair trends 2015 offer us only harmonious looks so study the hairstyles first then go to the wardrobe. As we have said before being natural is what is expected from each of us the coming season spring summer 2015 and that is why we should test the modern looks celebrating New Year and getting closer to popular hairstyles. I must say that among the best things to try now are first of all beach waves hairstyles. The slightly tousled hair will inject everybody around and you of course with summer energy and make you well prepared for spring. 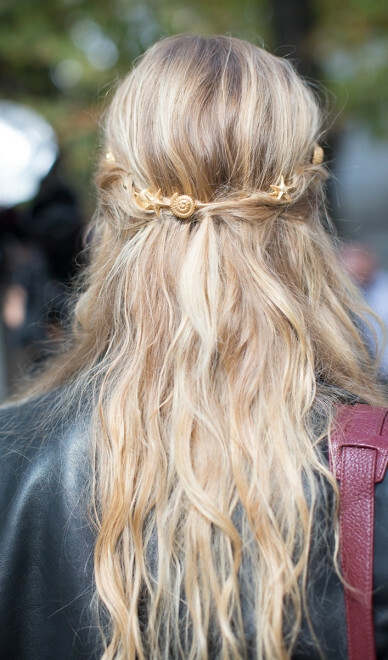 Such hairstyles were spotted at Valentino, Emilio Pucci and other designers' shows. For the New Year celebration you can choose an open summer dress and style the long hairstyle into these tousled slight waves. You can make your long tresses look as modern as never before, with such slight waves and very up to date center parting be sure to be the trendsetter. You can try to design this trendy hairstyle yourself at home. You need a curling iron. Start to curl from your chin level and mind to leave some two inches at the ends uncurled to make it look more natural. And use any hair accessories you may like. These Valentino seashells are very cute. For sure it is not only about hairstyles but the means to get the charming looks. 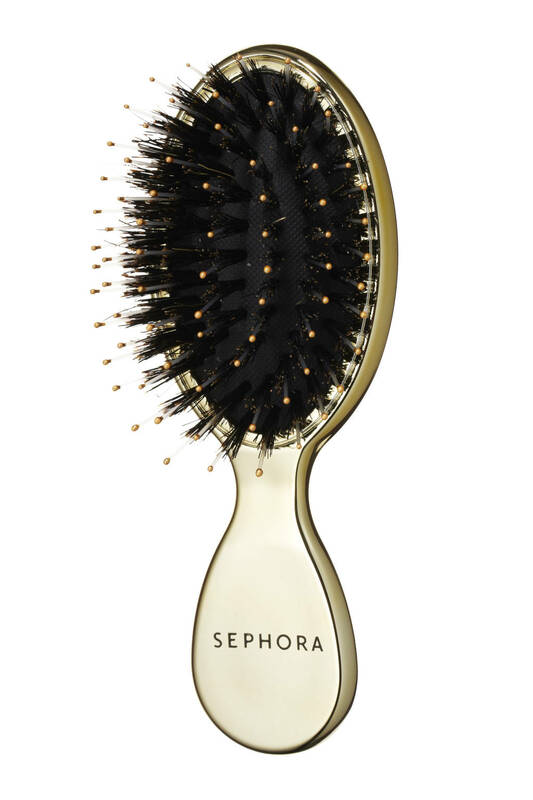 Such brush is a must in a any lady's beauty kit, to make the tresses look glossy and well taken care of. Bun hairstyles are very popular now due the the sensational comeback of long hairstyles. If combined with such a feathery dress, you bun will be right in its place. To get more sophisticated look, make not a simple bun, but design a braided bun hairstyle that is very cute and fashionable nowadays. 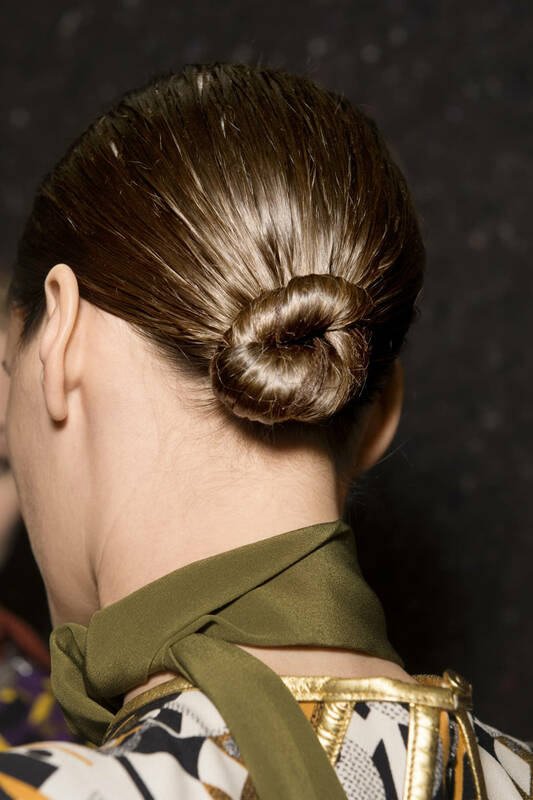 The low and a bit off side low bun by Prada will make your perfect New Year hairstyle if you add some more gloss. It will look very elegant. Such casual bun will be the best solution for the second day after the noisy New Year party, easy to make and cute to look at. 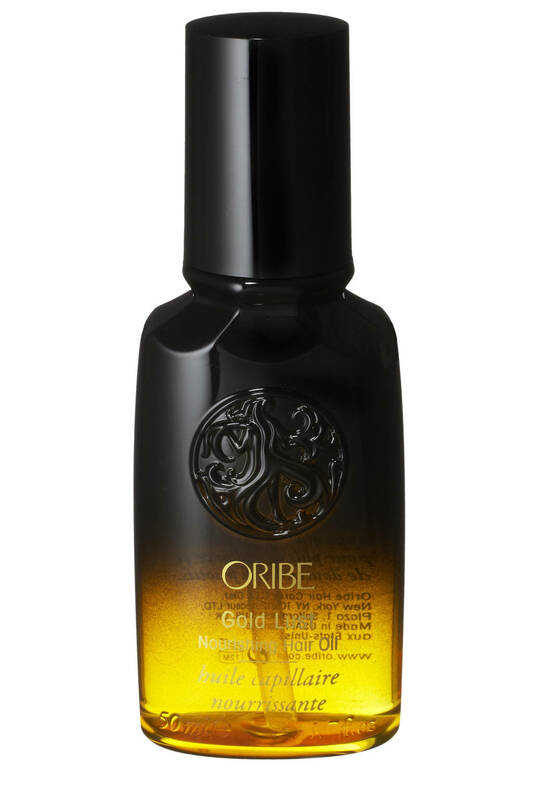 Never leave out that the main hair trend for the coming season is healthy hair, so use the right brushes, hair care means, for example this oil will convert your hair to silky tresses. 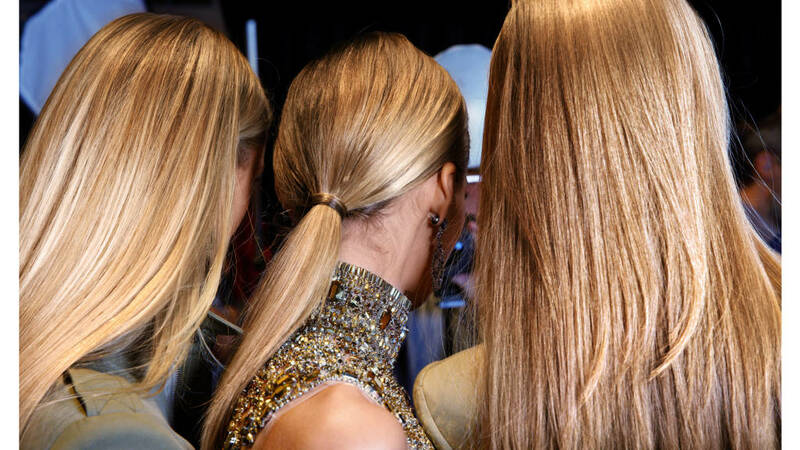 If you have straight hair, apply some more gloss to make hair look very shiny and style the simple and elegant low ponytail or just leave hair straight on New Year eve, thus practising Guido Palau hairstyles at Ralph Lauren spring 2015 show.